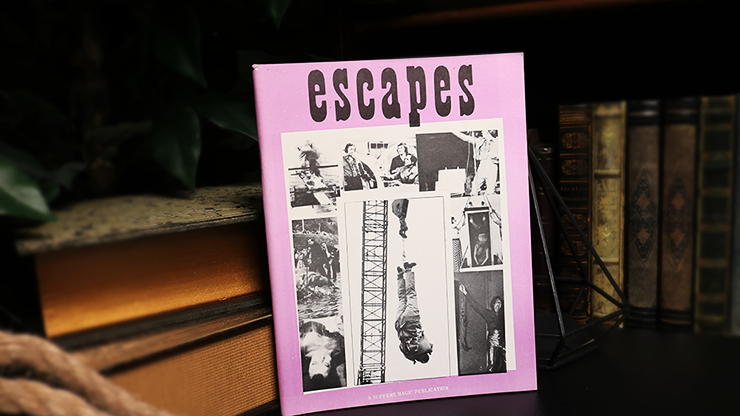 Escapes by Percy Abbott is a very hard-to-find book. Not only are the escapes practical and fooling, but they scan the wide range of escape entertainment. Chain escapes, Wrist & Padlock Escapes, Straight Jacket escapes, Spirit & Platform Escapes, Coffins, Collars, Jail Breaks plus much, much more!